Expats moving to Belize will not find it hard to integrate and socialise with locals because the country’s official language is English. Known as the birthplace of chewing gum, Belize also provides a haven for a great number of marine and terrestrial life. Because Belize is considered as the Caribbean and Central American country, it combines the best of both worlds. Belize is a small country of over 300,000 inhabitants, situated in Central America on the coast of the Caribbean Sea. Previously known as British Honduras, Belize became an independent country from Britain in the year 1981, although the head of state in Belize is still officially Queen Elizabeth II of the United Kingdom. It has a written constitution and a democratically elected Parliament. The official language of Belize is English, unlike its Central American neighbours. However, many Belizeans are also familiar with Spanish as well as other languages like the Garifuna language, and the Belizean Creole language. The region was once part of the Mayan Empire, which left monuments inscribed in its own hieroglyphic form of writing system. Mayan peoples remained in the area even after the Spanish had occupied Mexico; the Spanish were unable to dislodge them from the remote jungle region of Belize nor extend their authority there. The first European settlers were English pirates and buccaneers who in the mid-1600s set up hidden outposts along the coast for bases to attack the Spaniards and their silver trains. These English settlements then turned to logging for export. They also brought many African slaves with them to do most of the work. Another group of people who came to Belize around the year 1800 is the Black Carib, or Garifuna people. They are the descendants of Carib Indians and shipwrecked Africans who had taken control over the Caribbean island of St Vincent in the late 1600s. By 1796 they were finally defeated and were deported to Central America, where they still live and speak a type of Carib language. They are very proud of never having been slaves to Europeans. In the earlier days, there were more frictions between the groups of English, their slaves, the native Mayans, and the Garifuna people. Today the largest population are of Mestizos from neighbouring countries. There are also Mayans who migrated from neighbouring countries; Kriol people descended from the English and their African slaves, and a community of German and Dutch Mennonite settlers who practice their faith in seclusion. Situated on the eastern coast of Central America, Belize is becoming a famous haven for nature loving expats. You will hardly find yourself feeling homesick because you will be immediately drawn to the country’s Caribbean Sea shorelines and vast, almost untouched jungle areas cradling a rich history of Mayan ruins. But before you start packing your summer wears and camping gears, make sure to take care first of the most important things needed when relocating. If you are from a country with high-end architectures and modernised lifestyle, you should know right now that Belize is far from that. It is referred to as ‘Mother Nature’s best-kept secret. You can seek help from local expert realtors to assist you in finding the best housing options. Most rentals already include the utilities in the rental cost. But for those that don’t, the average monthly rate of essential services like water, electricity and gas is 80€. Internet connection with a speed of 10mbps is around 150€ while the local prepaid mobile call is billed 0.25€ per minute. At first, Belize is just known to scuba divers and travellers seeking for adventure. Lately, as it becomes popular, more houses and apartments can be found across the country because of the growing demand of relocating expats. You can always choose between a short-term ( 0-5 months) or long-term rental (6 months and longer) agreement. 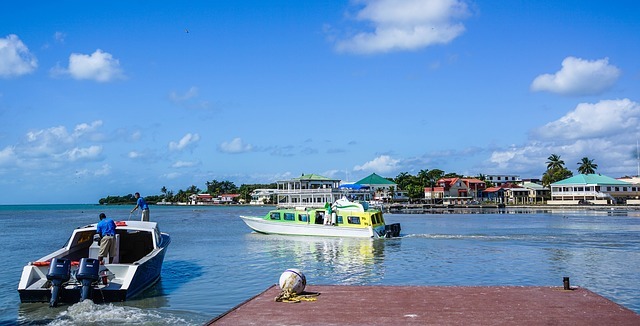 A town on the peaceful waters of Corozal Bay, Corozal District is the perfect neighbourhood for you if you are searching for a place that has a laid back vibe yet active expat community. Rents here are very affordable. A fully furnished apartment with one bedroom, a kitchen and not to mention the scenic view of the flowery gardens costs 350€ per month. 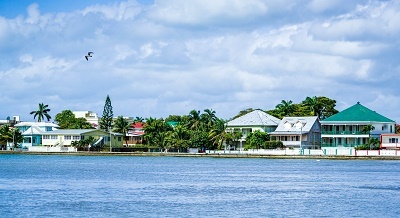 Stann Creek is a known expat neighbourhood in the mainland. If you are relocating with your children, you can consider living here because of it’s miles of sandy beaches and crystalline water. One of the selling points of properties in Stann Creek is that they are fully furnished and inside a gated, fenced yard. The average monthly rent here is 500€ to 7000€. The United States hugely influenced Belize educational system through Jesuits. So you should expect that Catholic Schools are considered to be the best in the country. It is recommended t that you enrol your children in an international school where the curriculum is designed for expats like you. Some of them are the QSI International School of Belize and Caye Caulker Ocean Academy . You can also check the local schools in Belize like the University of Belize and The University of The West Indies, Belize. Belize is a country filled with islands and surrounded by beaches so refrain from bringing thick winter clothes and boots as you might not be able to use them. Most apartments are furnished in a modest way. If you are planning to bring your belongings, you can contact international and local movers who will assist you in the process of importing them. You can choose from trucks to planes or boats to transport your packages. The average shipping time is 3-4 business days for express and 5-10 business days for economy. The cost of service still depends on the weight and quantity of the shipment. Cargos and containers which are transported by sea are received and checked by Belizean customs in the Port of Belize. The country has simple rules when it comes to the entry of domestic animals. You need to provide an International Health Certificate, which states that your pet is not infected by any contagious/infectious diseases and that they are fit to travel. It should be issued by a government accredited veterinarian not more than 48 hours before the shipment. The pet also needs to be vaccinated against rabies not more than six months and not less than one month before arriving in Belize. Local officials are very particular that the animals do not have any visible or open wounds. Lastly, dog owners should have a valid certificate that their pets have been vaccinated against leptospirosis, distemper, parvovirus, and infectious canine hepatitis. The original title plus the declaration of sale for the vehicle are required to show proof of ownership and to confirm that there are no liens against the vehicle. If there are liens, the car would be deemed unsuitable for shipping, unless the lien holder provides you with written approval. The vehicle's identification number (serial number stamped on the car), year of manufacture, make and model license plate. You can start breathing once you’re done with these preparations. Relocating takes a lot of work but as soon as you’re settled in your new home, all of the hard work will definitely be worth it once it sinks in that you’re about to live in the almost paradise country of Belize. Located on the eastern coast of Central America, Belize offers expats a diverse society composed of numerous cultures that point to the country’s rich history. Belize was originally a part of the British Empire but has strong ties with the rest of Latin America as well. The only country in Central America with English as an official language, Belize features an abundant marine life and a diverse ecosystem. Taking pride in its stunning Caribbean shores, unspoilt nature, and different culture, Belize attracts a great number of tourists all year round, especially foreign nationals looking to retire or work in this beautiful tropical country. Belize was ranked 102nd out of 177 countries when it came to economic freedom in 2013. As a developing nation, the economy of Belize largely depends on agriculture, tourism, and services. With a labour force of approximately 120,000, most of the Belizeans are employed in the Services sector which accounts for almost 60% of the country’s GDP. 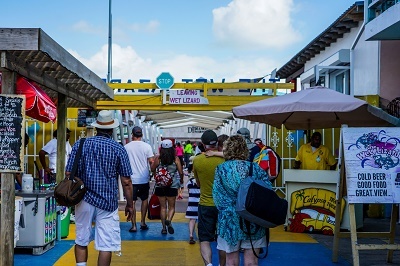 Foreign nationals in Belize account for approximately 15% of the total population, and they mostly come from neighbouring Central American countries, as well as China, Europe, and North America. Several foreigners moving to Belize are said to set up their own business or get employment from the tourism sector. However, it is not so easy for foreign nationals to get a job in the country. That is caused by the government’s regulation of employing foreign nationals. In this way, the government promotes the employment of as many Belizeans as possible. To apply for a job, an expat must have a work permit issued by the Immigration Office and approved by the Belize Labor Department. The prospective employer of the foreign national shall be the one to apply for the work permit, and before doing so, they must present sufficient evidence that the job opening has been advertised locally for at least three weeks, but no suitable Belizean candidate can fill the position. Moreover, the approval of the work permit is still subject to the discretion of the Labor Department, which takes around two to three weeks. The general work week in Belize is six days a week or 45 hours. By law, all employees are entitled to 16 days of sick leave at their basic rate of pay, provided they have worked an accumulated period of 60 days within 12 months. They are also entitled to an annual paid vacation of two working weeks. Workers who are pregnant are entitled to 30 days of sick leave for pregnancy-related ailments. Finding accommodation in Belize is relatively easy for foreign nationals, as there is a vast array of apartments to choose from – whether it be in the capital city, Belmopan or outside the city centre. It is advised for foreign nationals to contact an estate agent to assist them about rental accommodations. Just like most countries, rents in the capital are more expensive than flats or apartments outside the city. Lease agreements are negotiable, although most of the time landlords rent apartments for six months or one year.